Metabolomics is a Systems Biology branch which studies the small molecules ("metabolites") profile of the samples. This profile allows to determine thousands of molecules concentration, generating data for studying the effects of a particular condition (diseases, physiological and nutritional changes, changes induced by drugs intake, surgery, and other therapeutic interventions) over the organism, tissue or cell physiology at a molecular level. 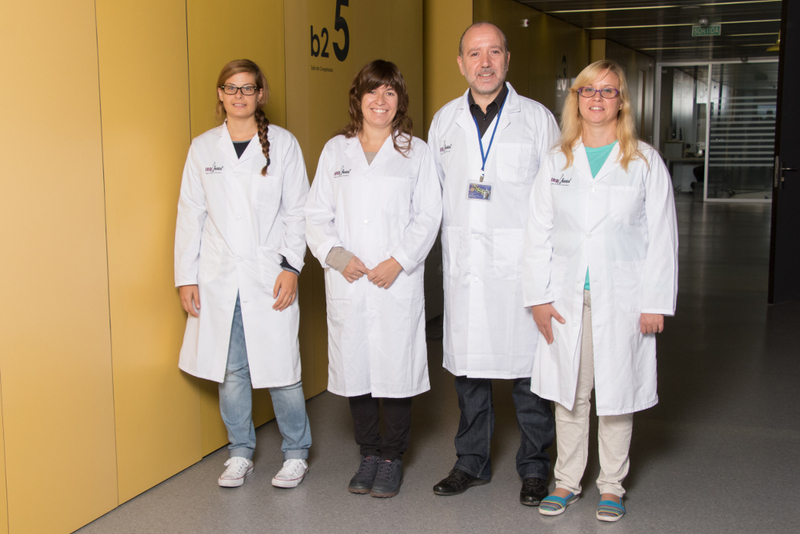 The Metabolomics Service offers technical support to the research groups advising them about the potential experimental applications as well as about the different protocol for each application. Moreover, we also optimise specific protocols which users ask for as well as samples and data processing. - Targeted metabolomics: search and quantification of specific metabolites. - Untargeted metabolomics: metabolomics profile studies of different samples and search of differential molecules between groups. - Targeted lipidomics: search and quantification of specific lipid species. We can also search and analyse modified lipids such as oxidated liplids. - Untargeted lipidomics: lipidomics profile studies of different samples and search of differential molecules between groups. The Metabolomics platform consists in three HPLC (Cap Pump 1200 Series, Nano Pump 1200 Series, UPLC 1290 Series, Agilent Technologies), one QTOF mass spectrometer detector (QTOF LC/MS 6520, Agilent Technologies), one nano-electrospray ionization system with ChipCube technology (HPLC Chip Cube G4240A, Agilent Technologies) and necessary software for data analysis (MassHunter Data Adquisition, MassHunter Qualitative Analysis, MassHunter Quantitative Analysis, MassHunter Mass Profiler, Agilent Technologies).